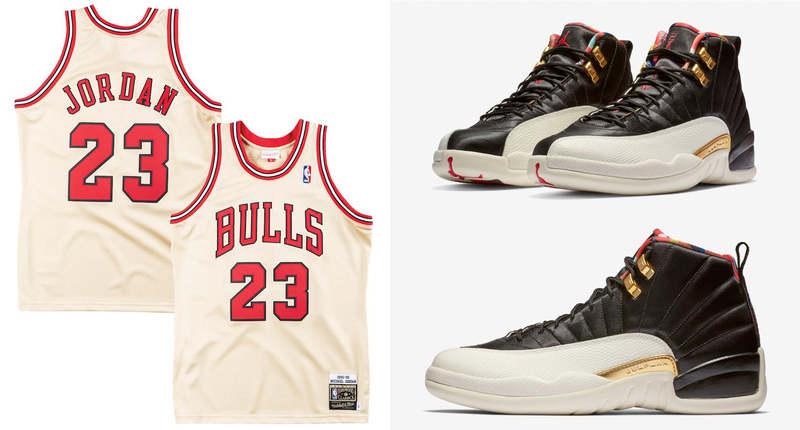 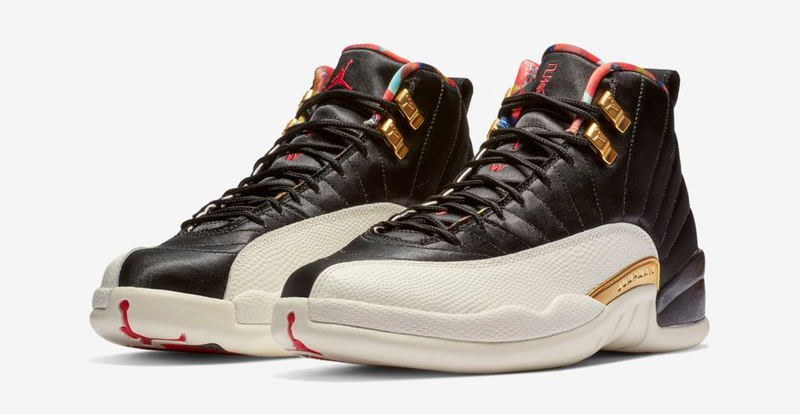 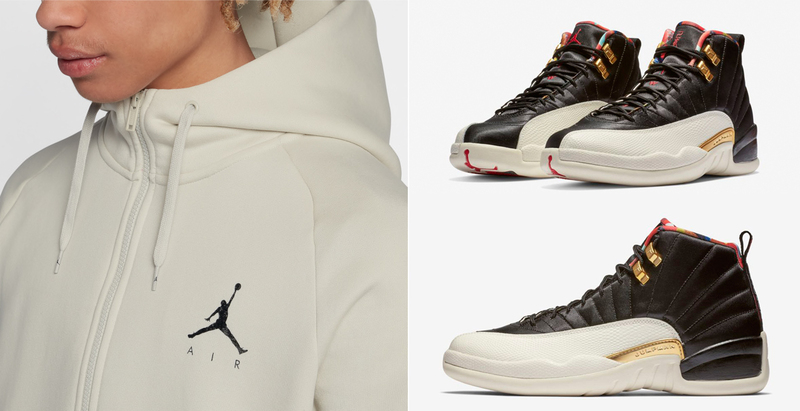 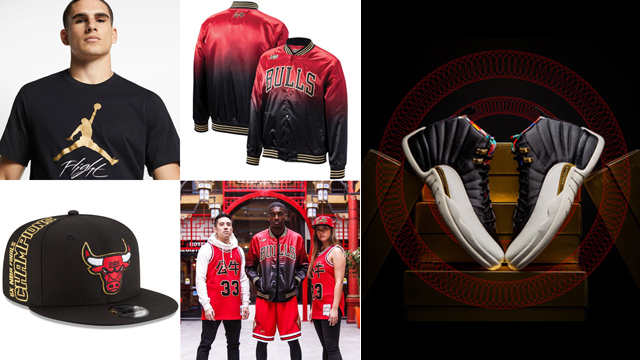 If you’re on the hunt for some clothing and caps to hook with the Air Jordan 12 “Chinese New Year” sneakers, here’s a recap of the best gear that we’ve rounded up to match the kicks. 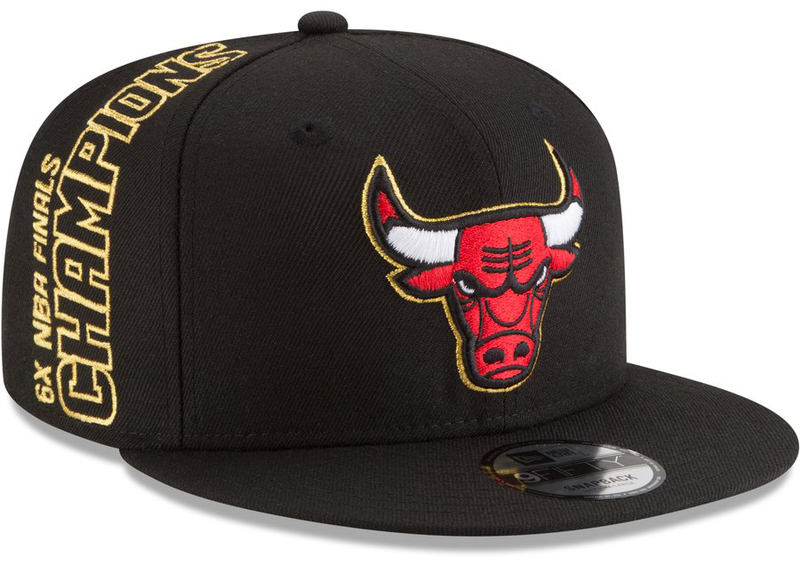 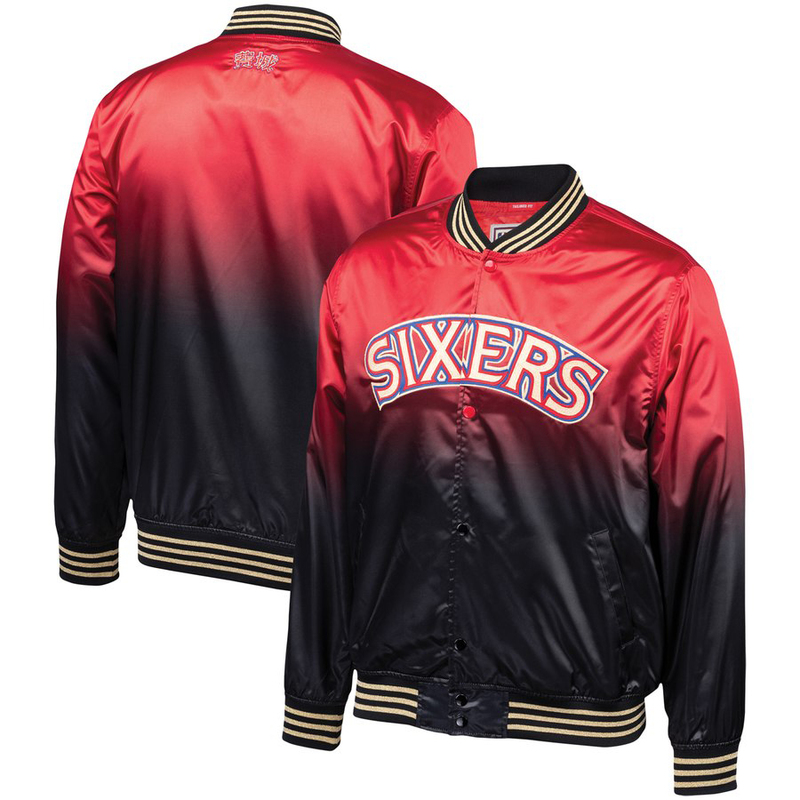 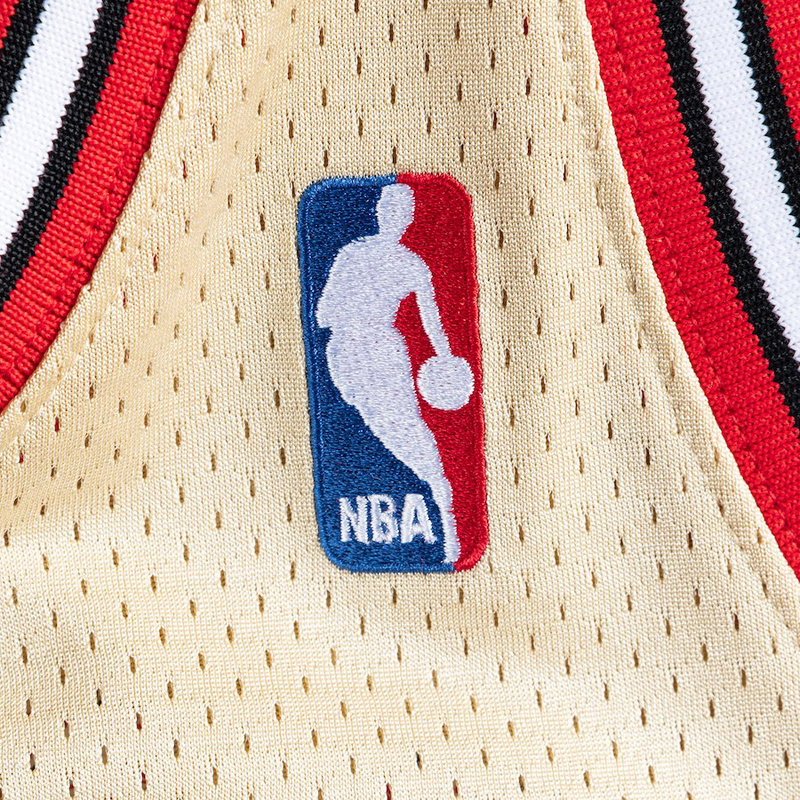 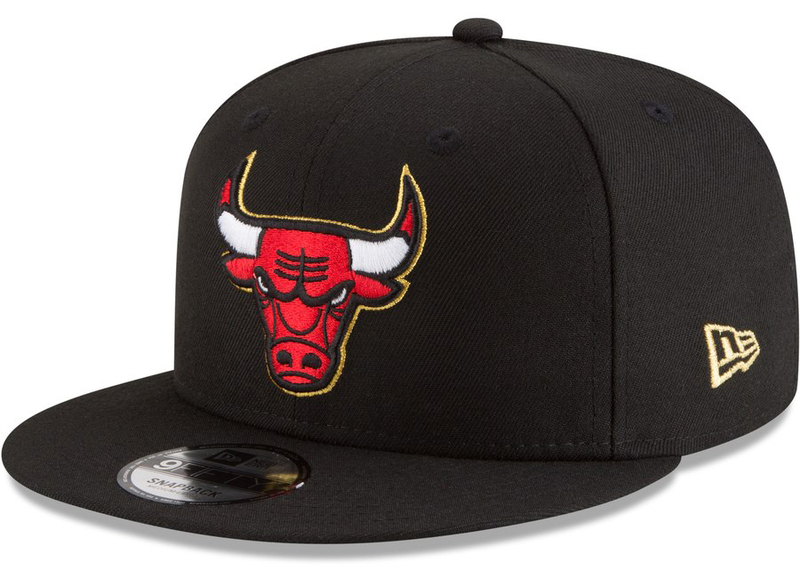 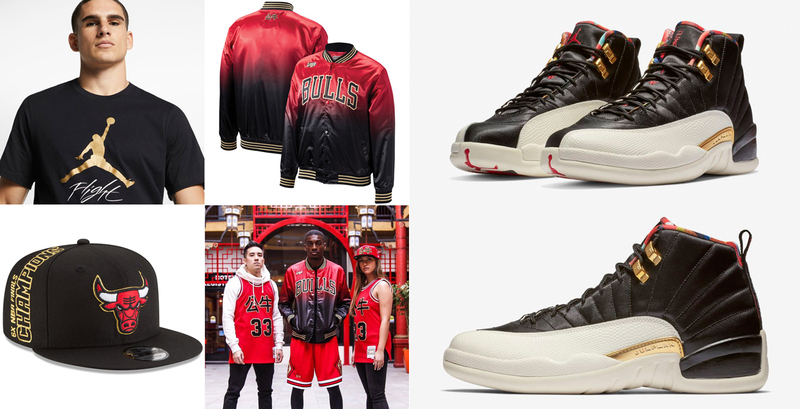 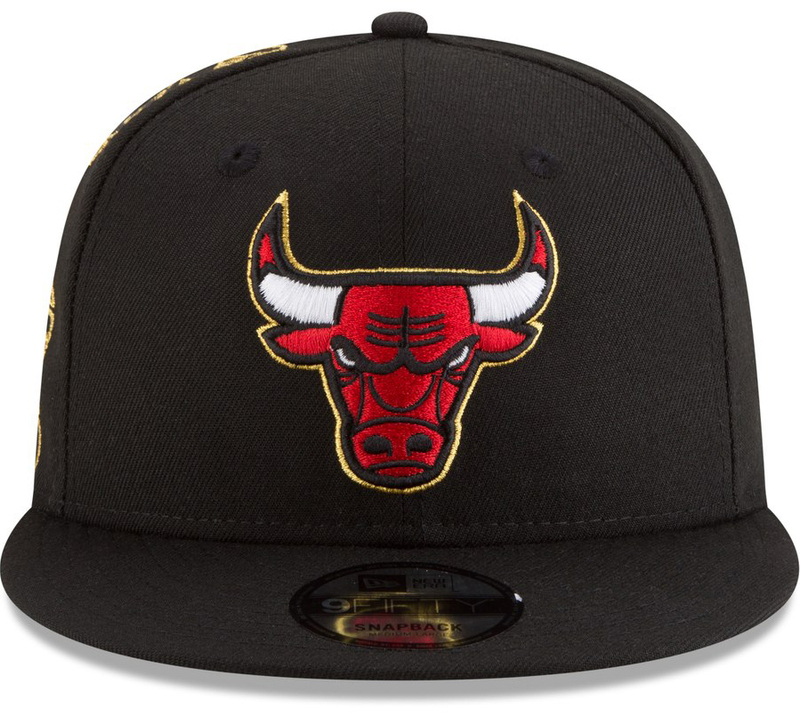 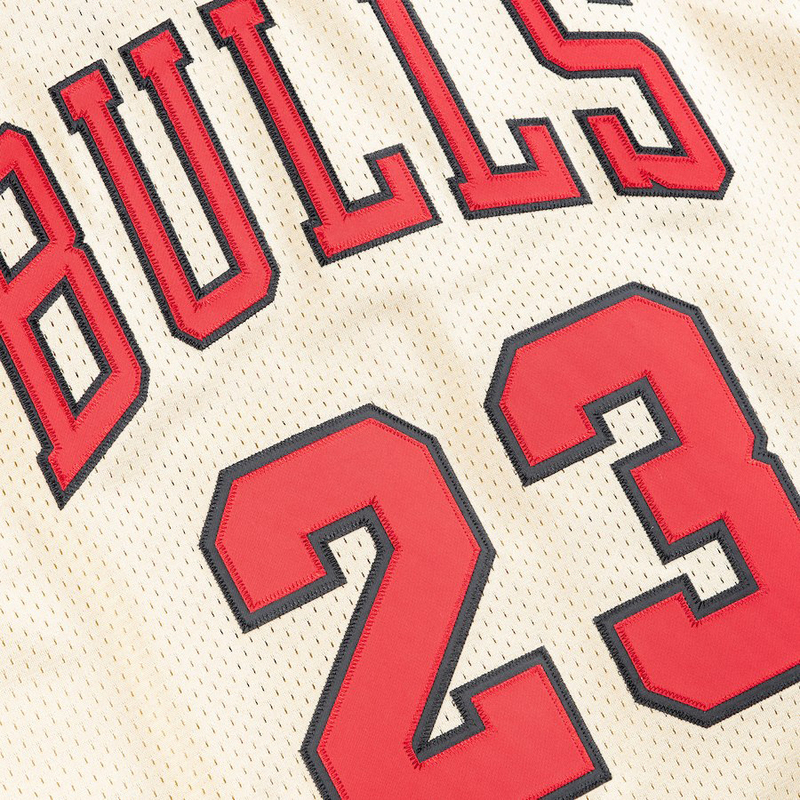 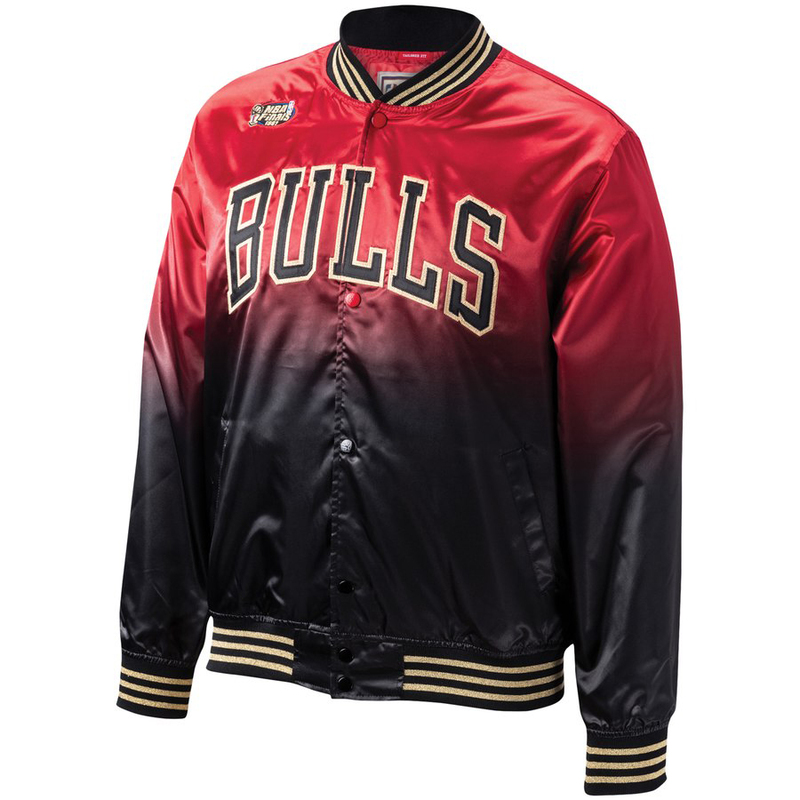 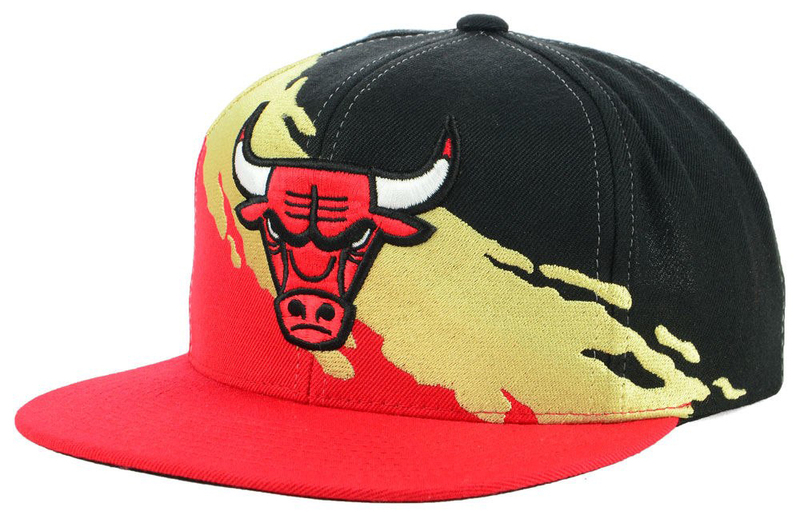 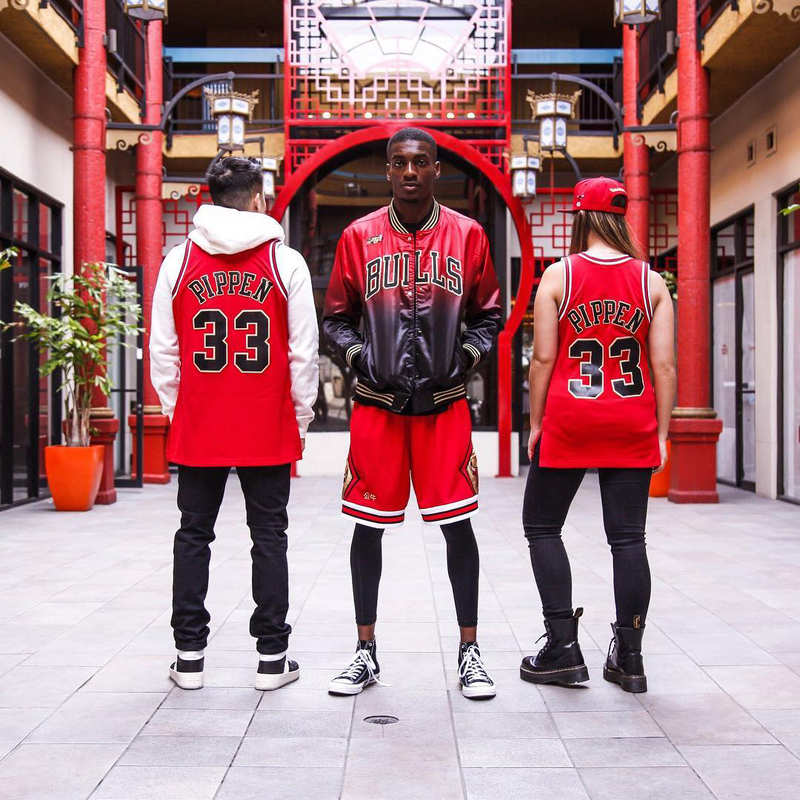 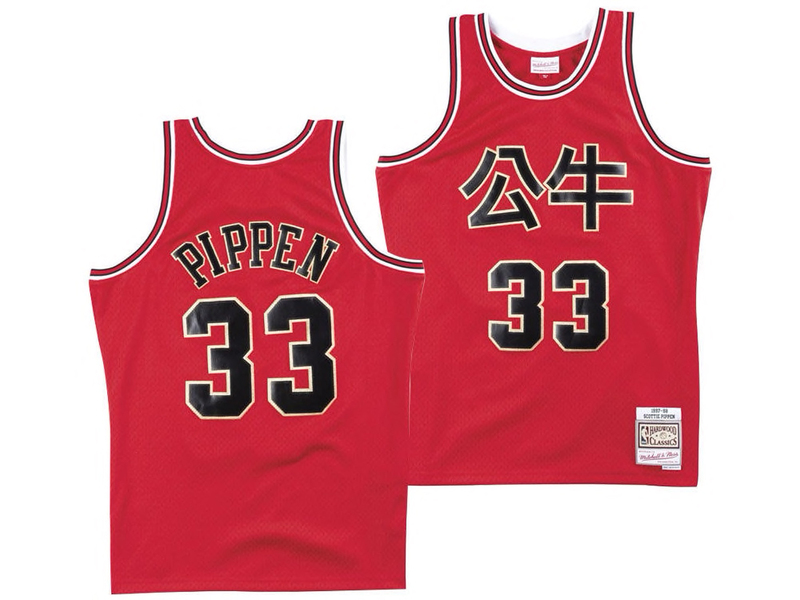 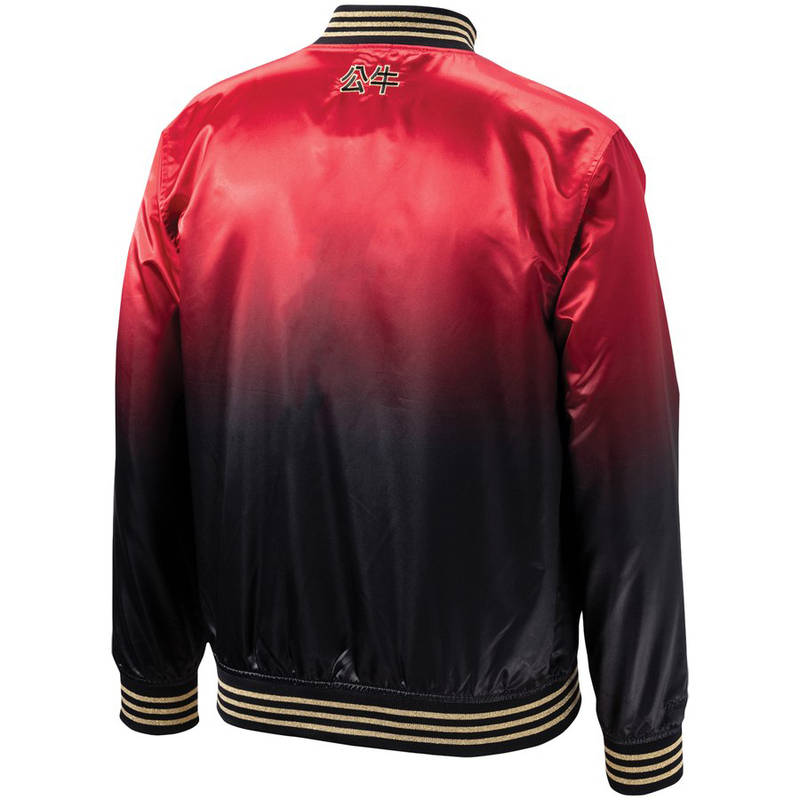 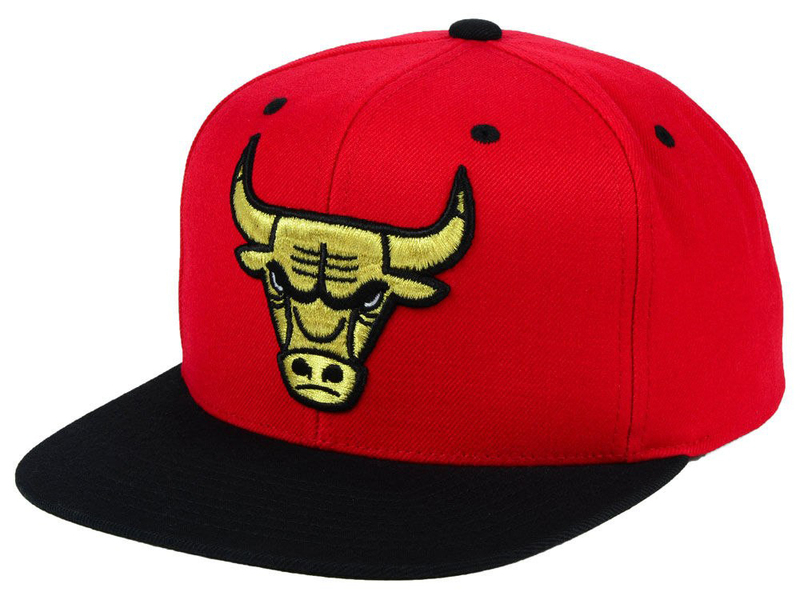 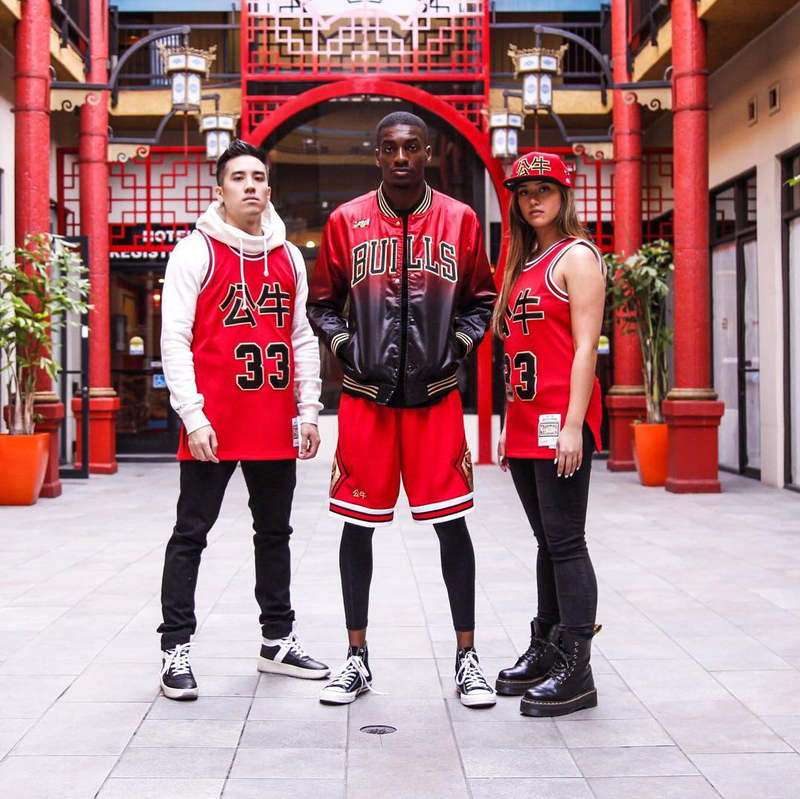 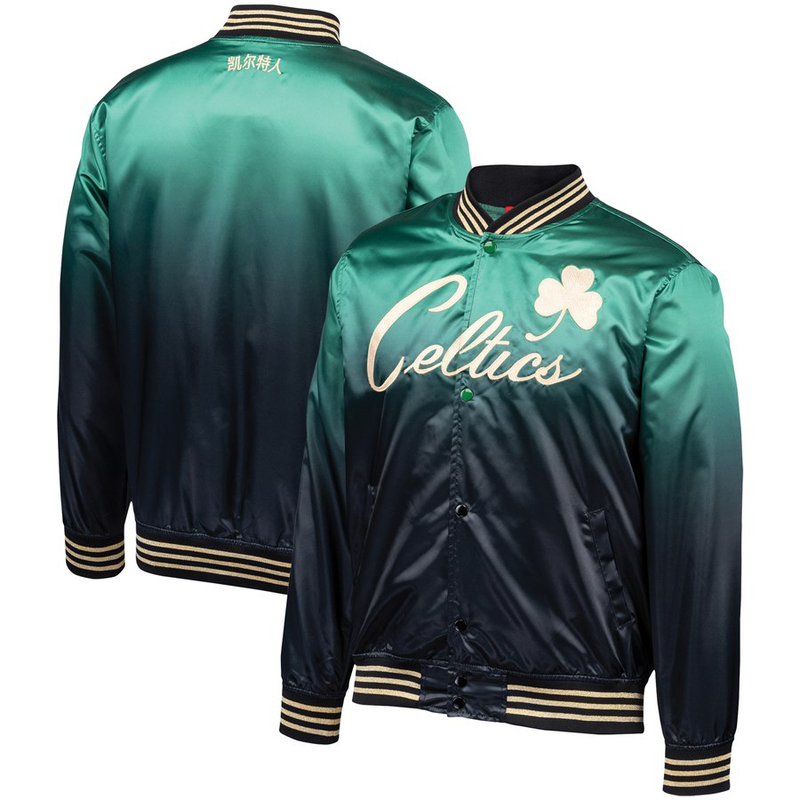 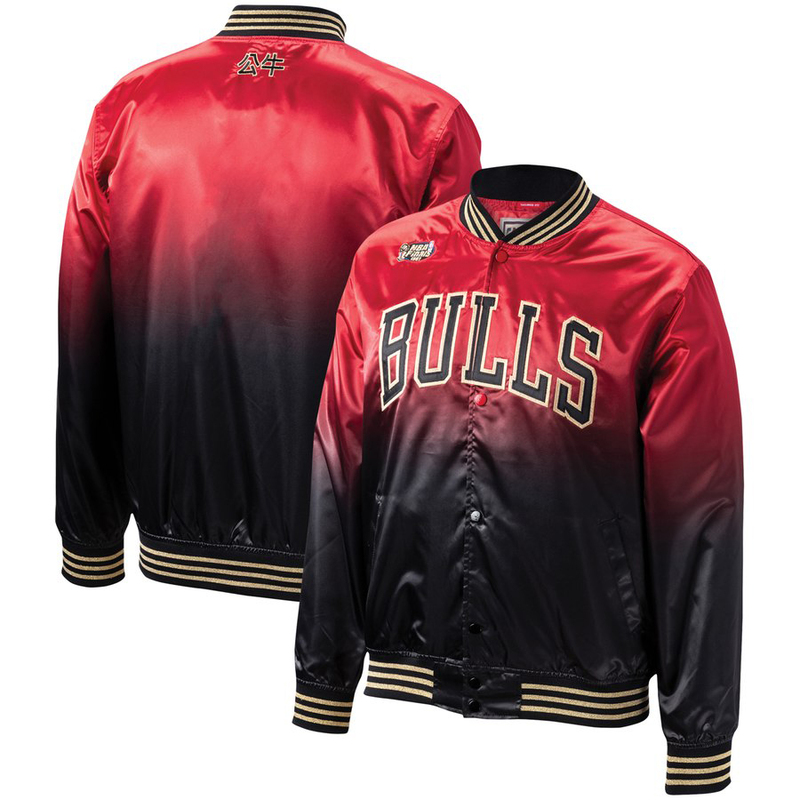 Included in the apparel mix below are Chinese New Year NBA jackets and jerseys from Mitchell & Ness that pair up nicely with the CNY AJ 12 Retro shoes, along with clothing from Jordan Brand to match, plus caps from New Era and Mitchell & Ness to top it all off. 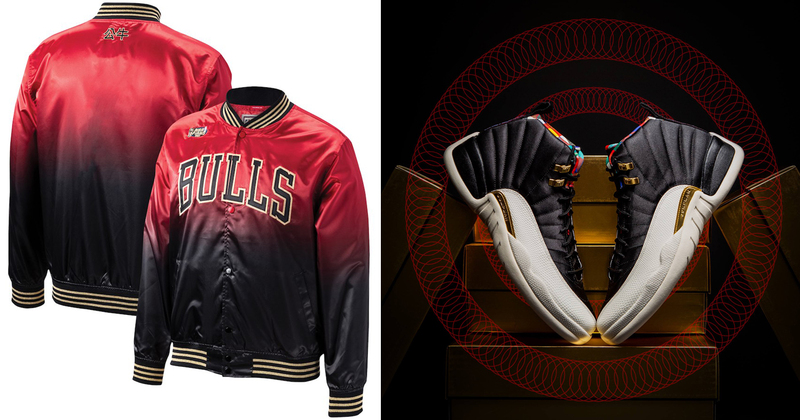 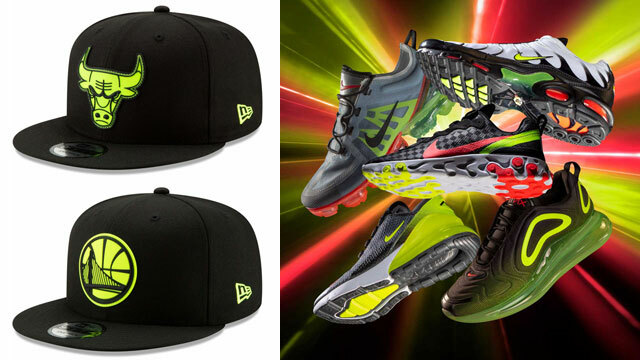 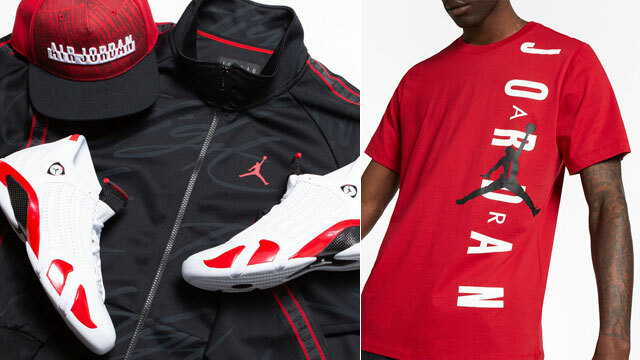 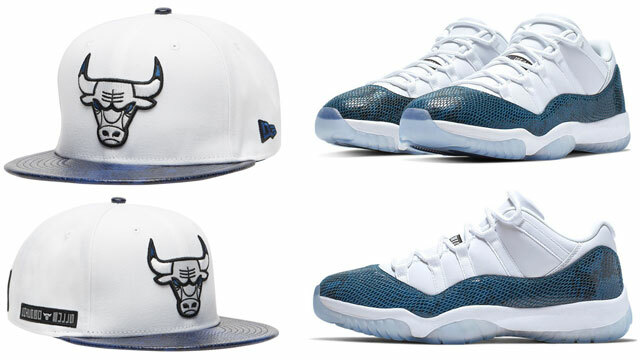 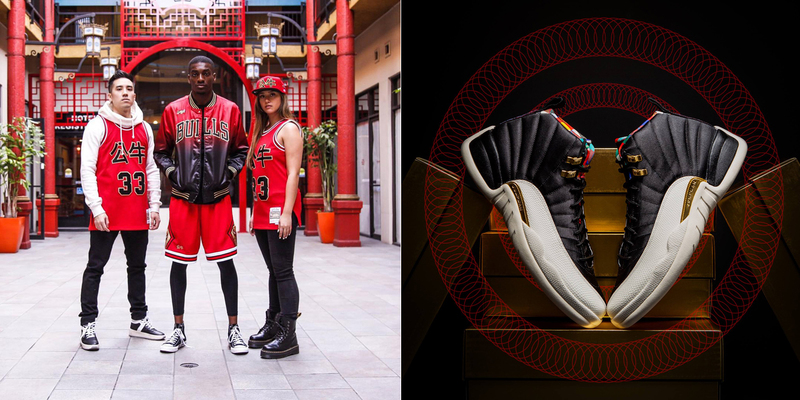 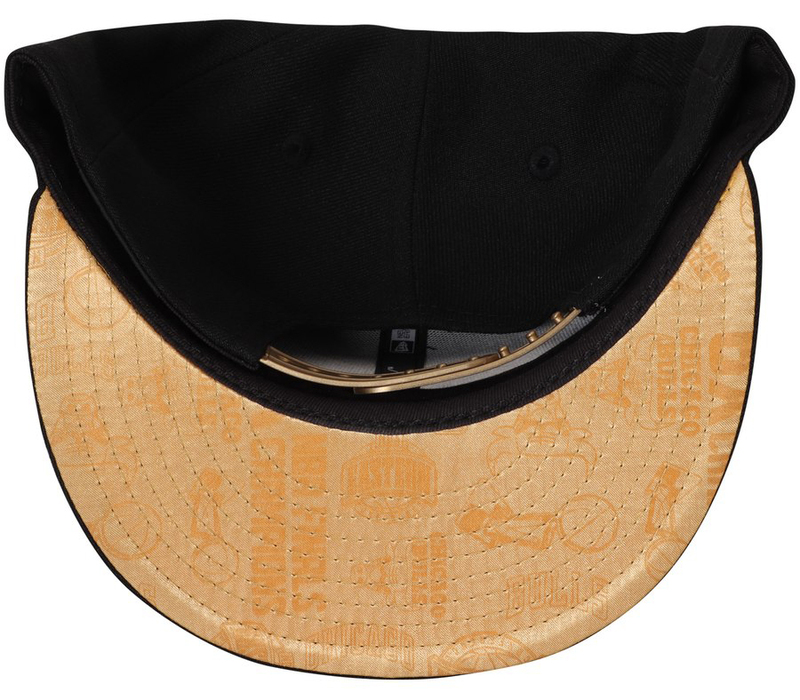 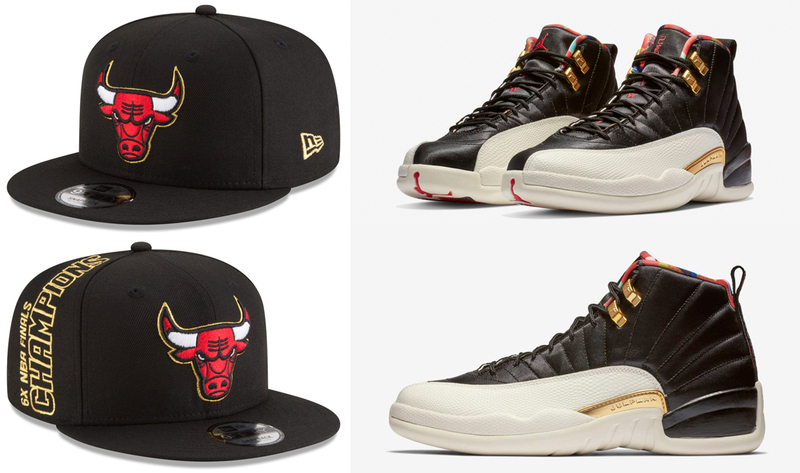 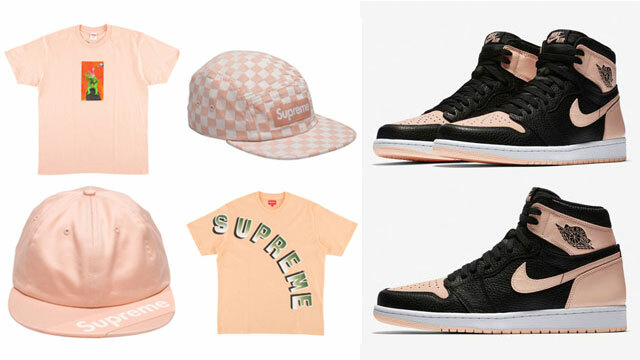 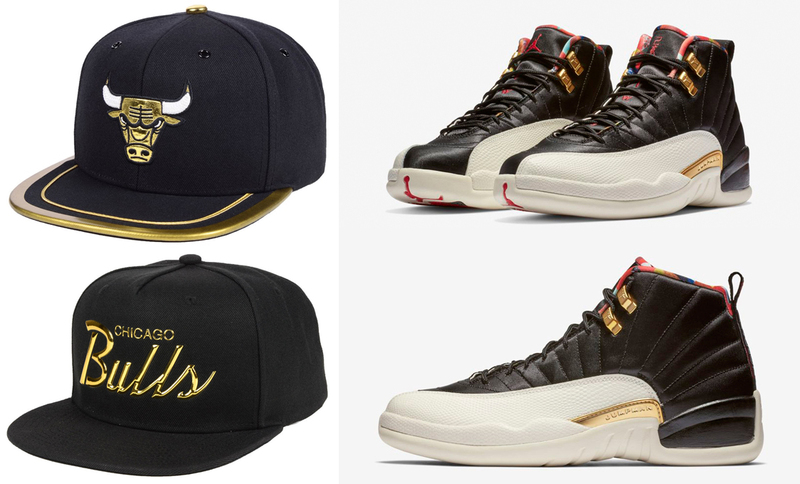 Scroll down to scope out some fresh new fits to match the Jordan 12 “Chinese New Year” kicks. 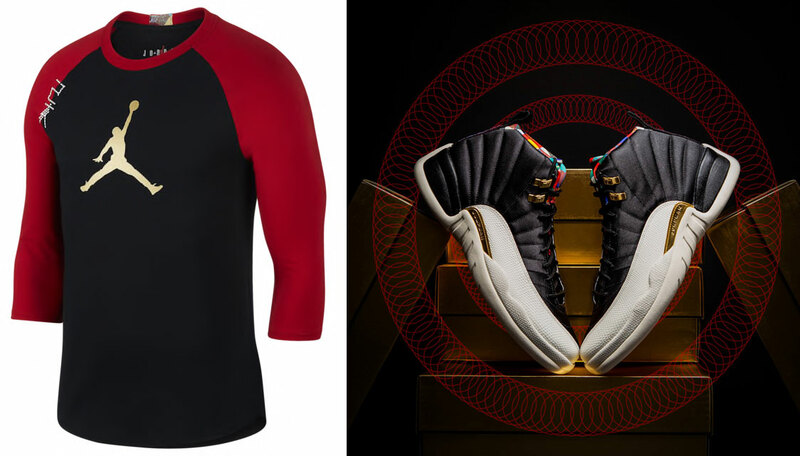 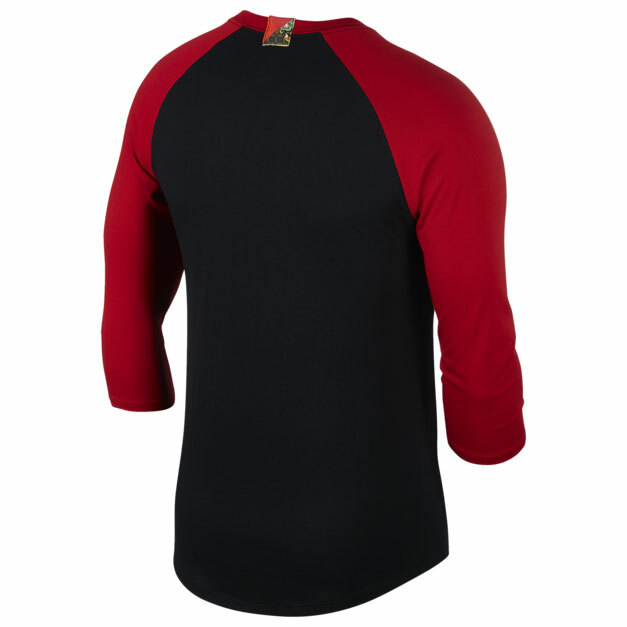 Fresh off last month’s launch of the Air Jordan 12 “Chinese New Year” sneakers comes this new Jordan AJ 12 Raglan T-Shirt to match the shoes. 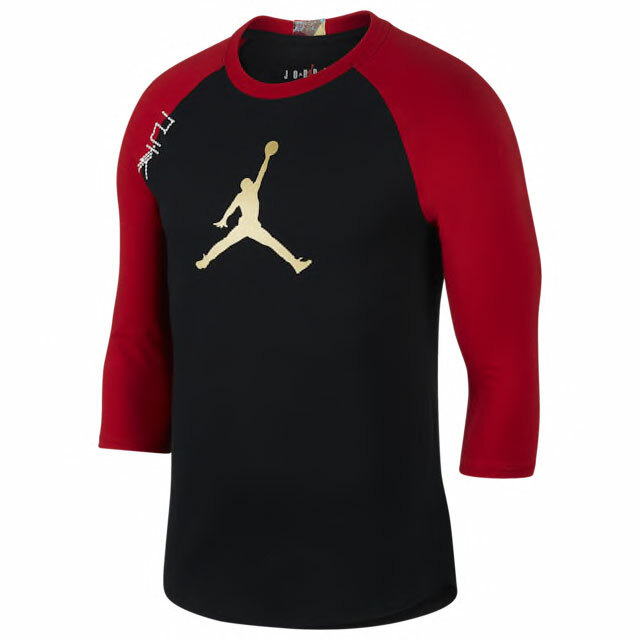 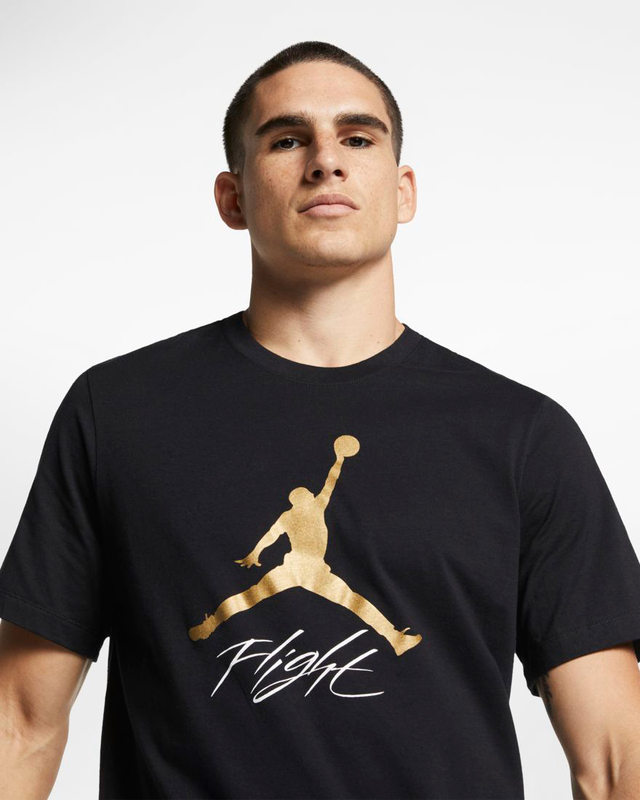 Inspired by the kicks with colors and CNY graphics to hook, this 3/4 sleeve raglan tee from Jordan Brand’s Spring 2019 clothing collection features a metallic gold Jumpman on the front to match the shine on the shoes, with Chinese New Year themed design details on both sides to complete the look to hook. 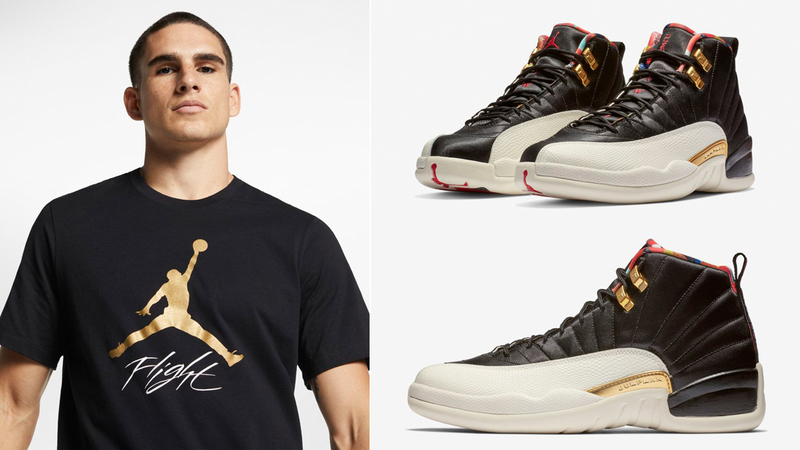 Need that perfect top to match the Chinese New Year 12s? 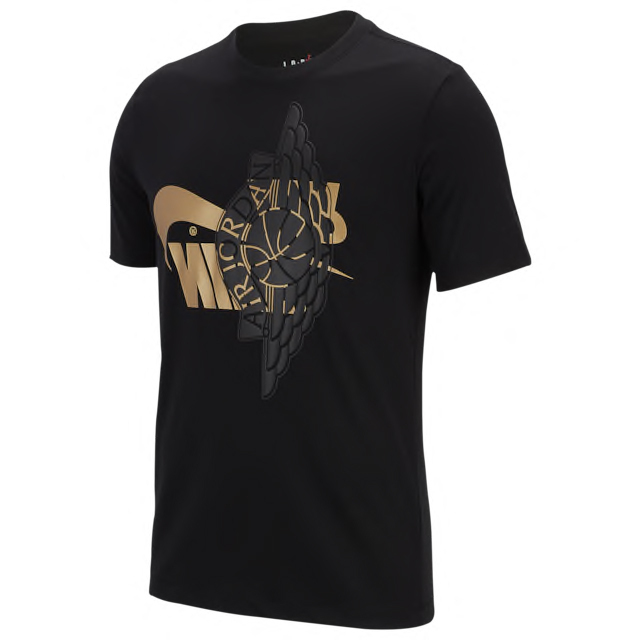 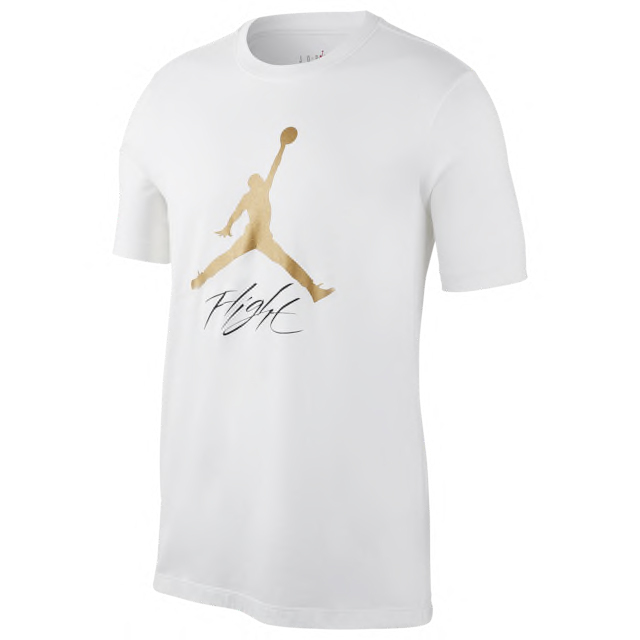 You can buy the AJ 12 tee below. 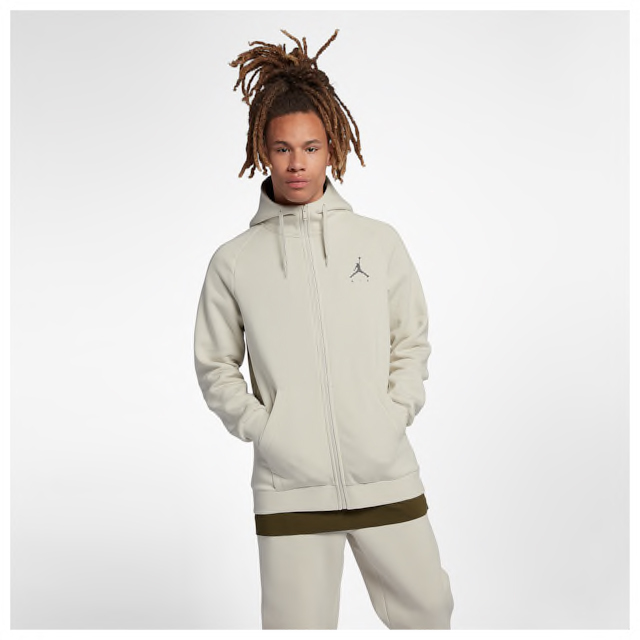 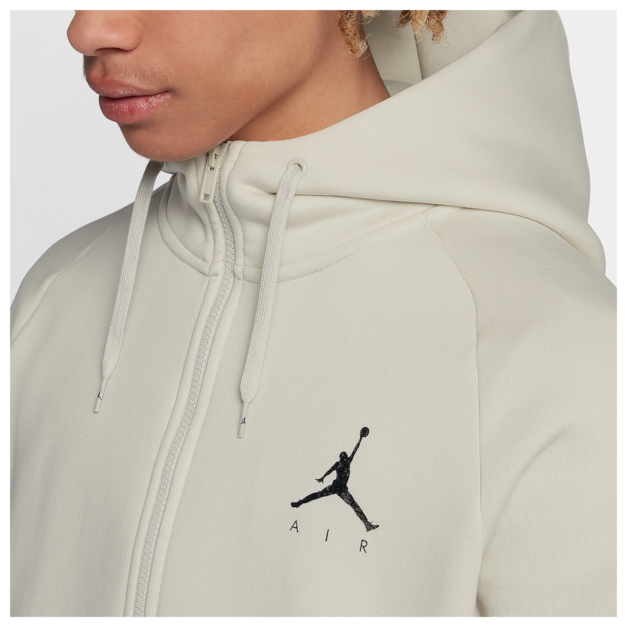 Jordan Brand is bringing the shine for spring with this new collection of Metallic Gold kicks and clothing to brighten up your sneaker game. 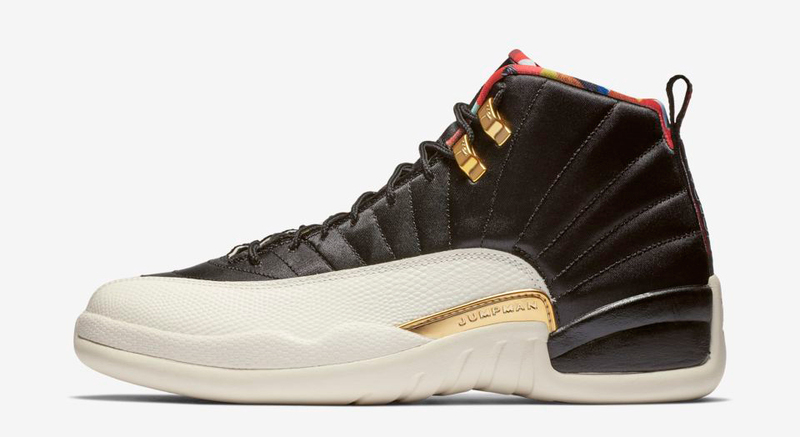 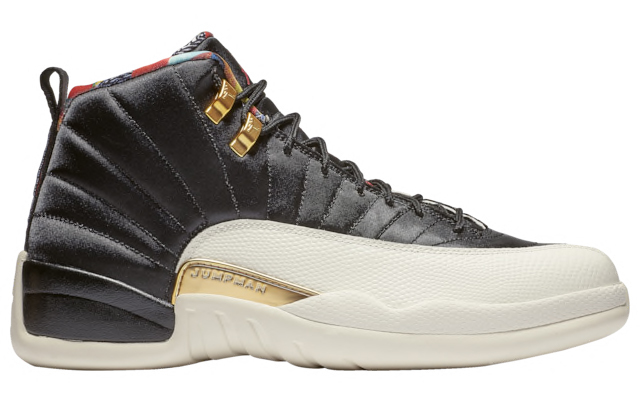 Fresh off the recent release of the “Chinese New Year” Air Jordan 12 and 33 shoes comes a few more sneaker silhouettes to lace up this season with Metallic Gold accents for a little extra flash. 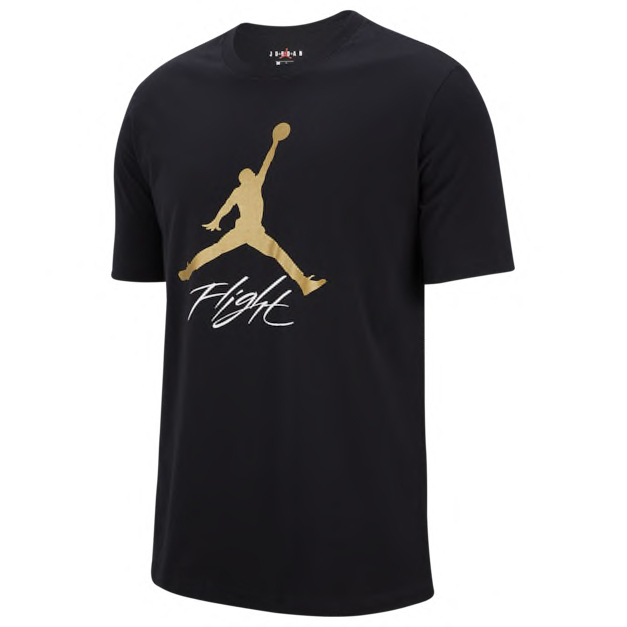 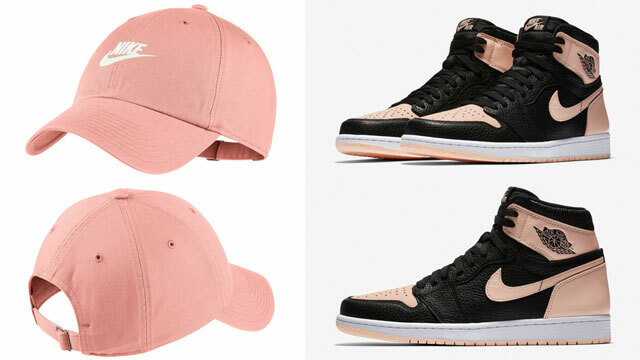 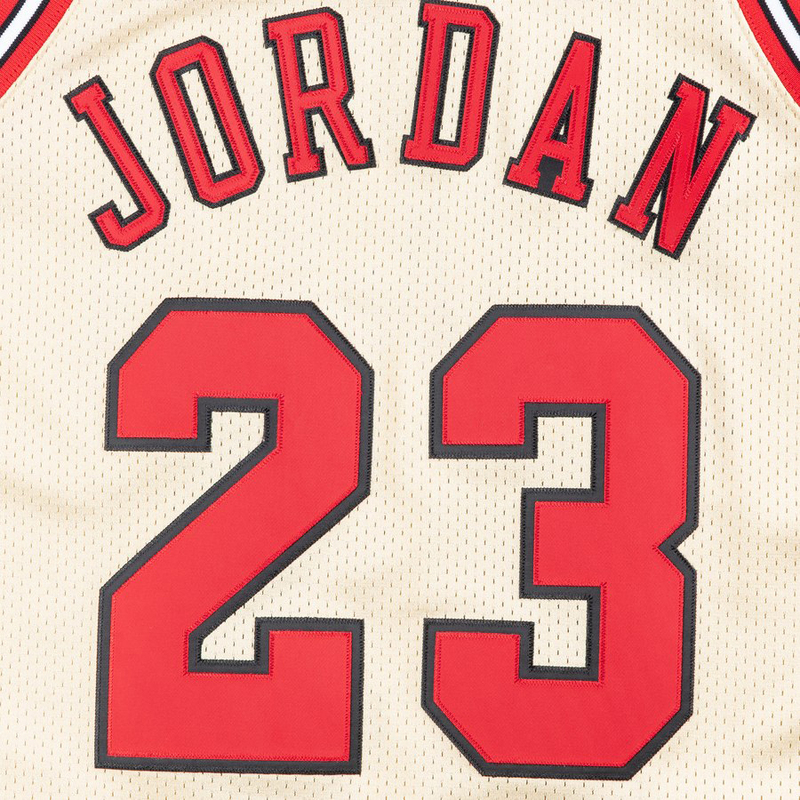 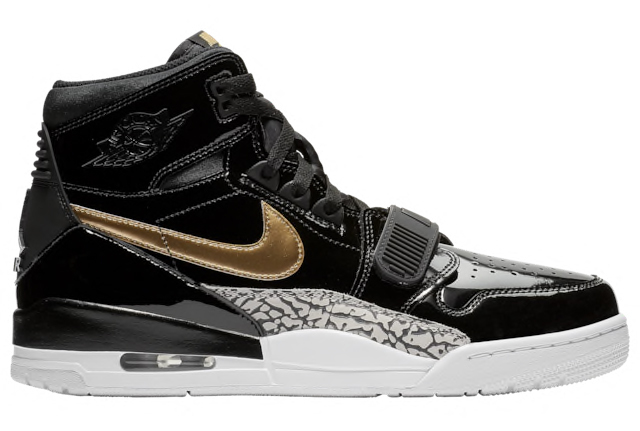 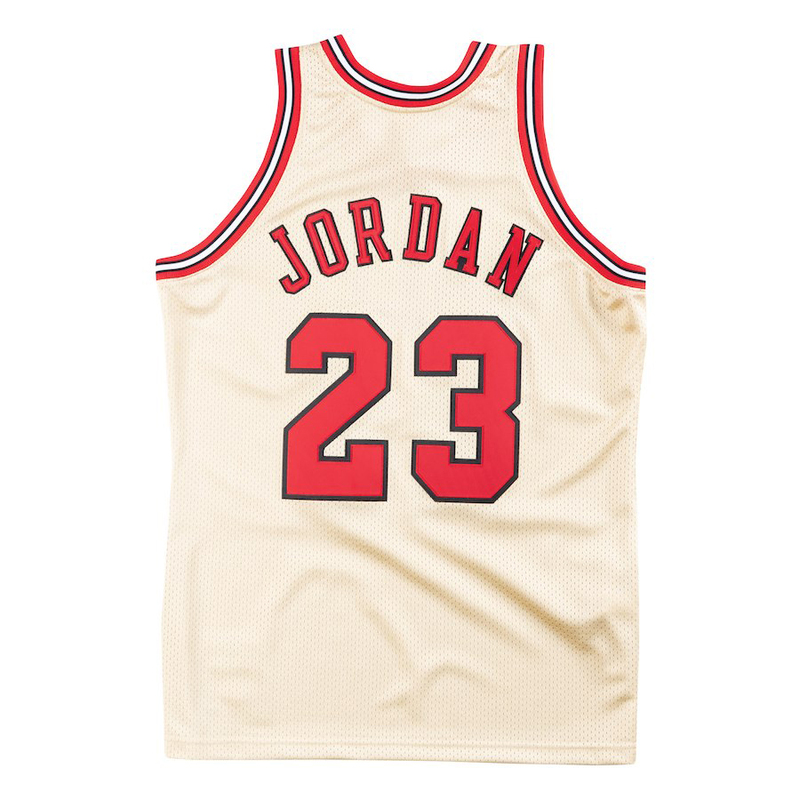 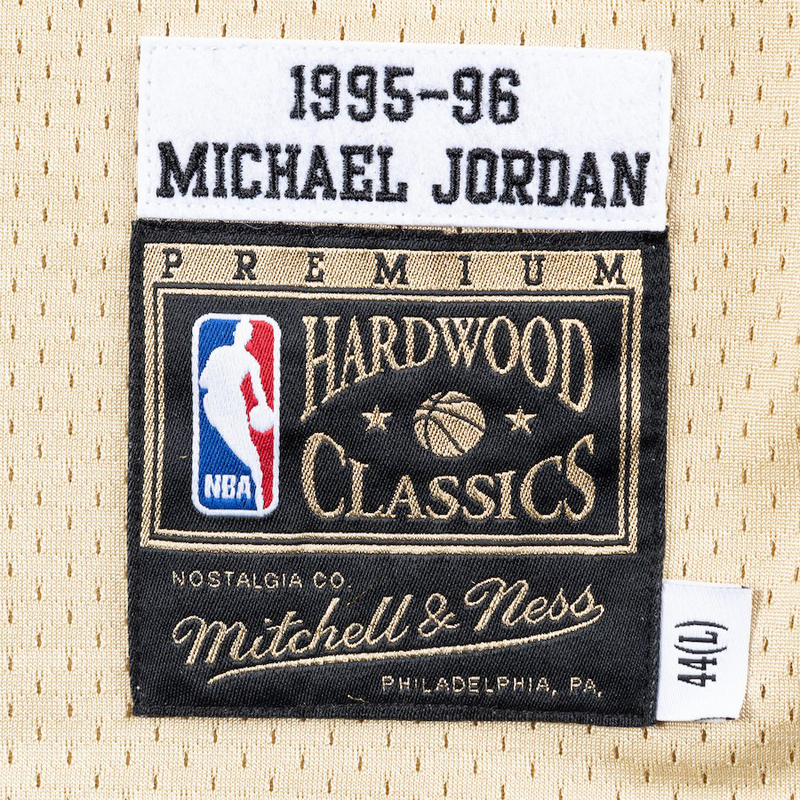 Included in the collection are styles like the Jordan Legacy 312, Air Jordan 1 Mid and Jordan 6 Rings sneakers, along with a few new Jordan Brand T-Shirts and shorts to sport with the kicks. 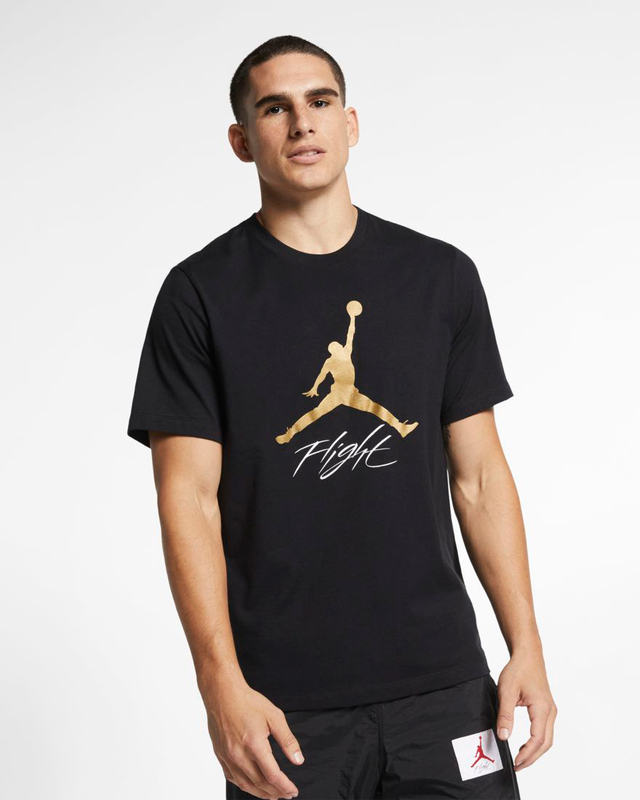 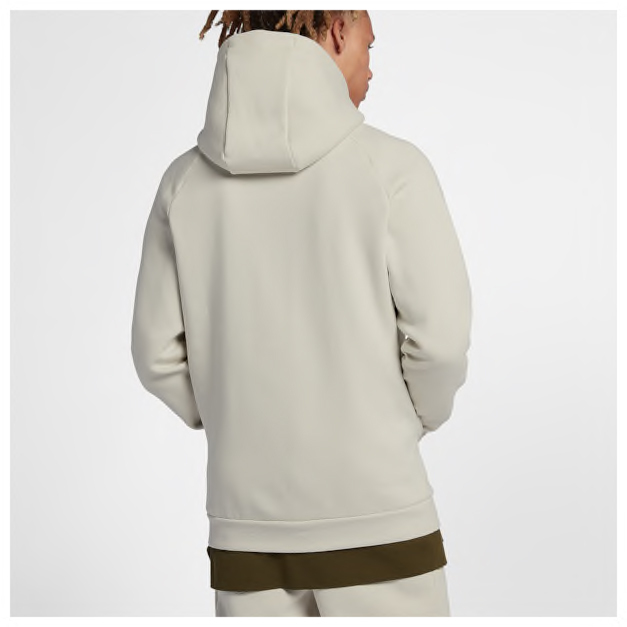 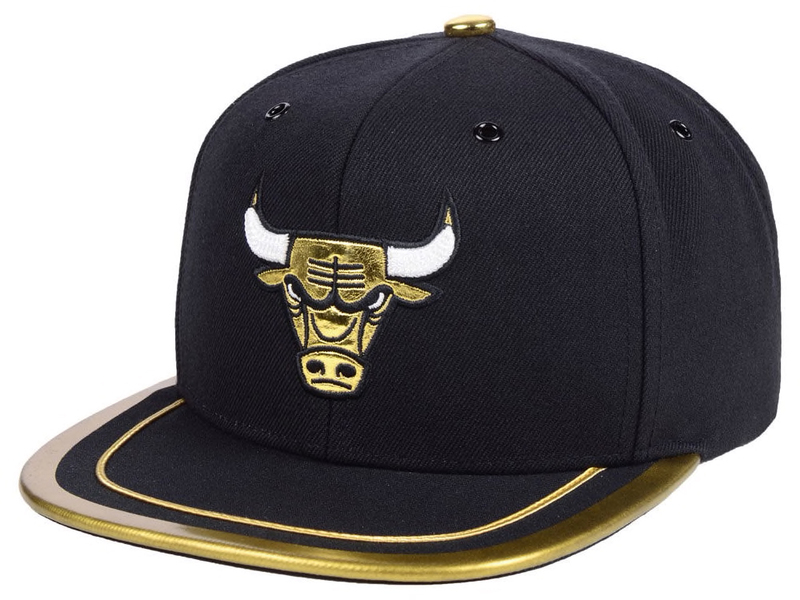 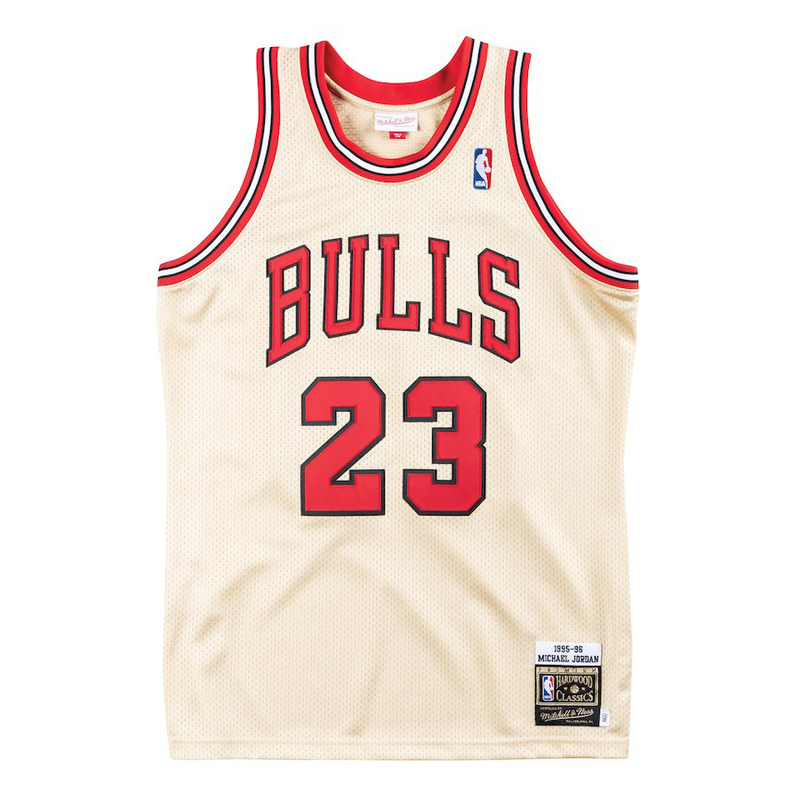 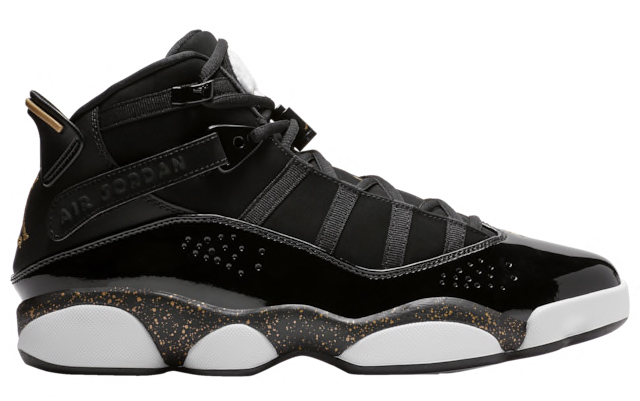 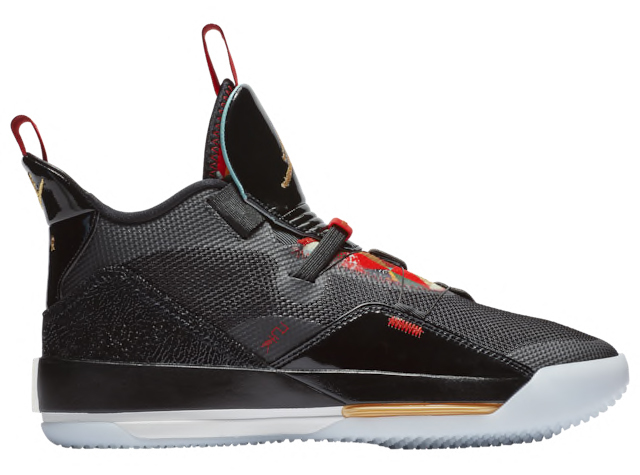 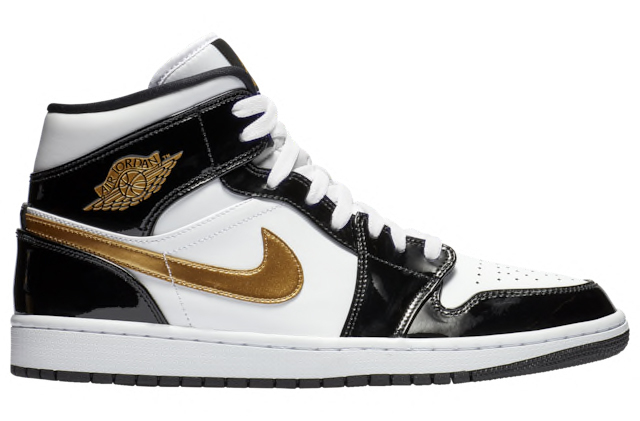 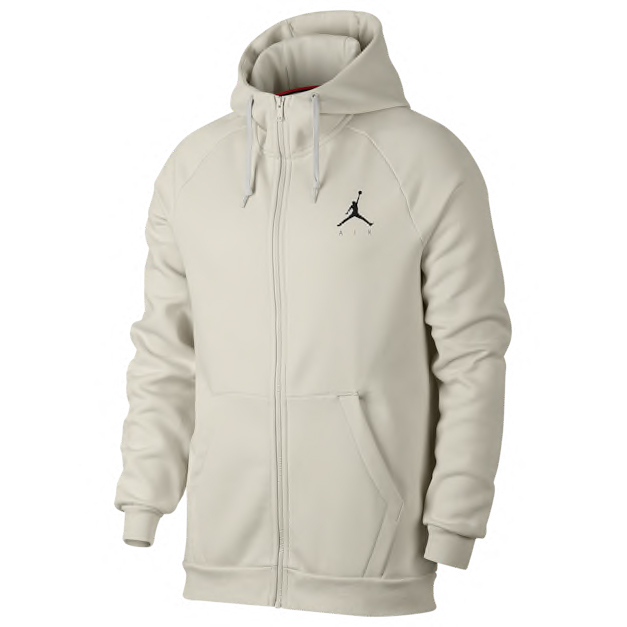 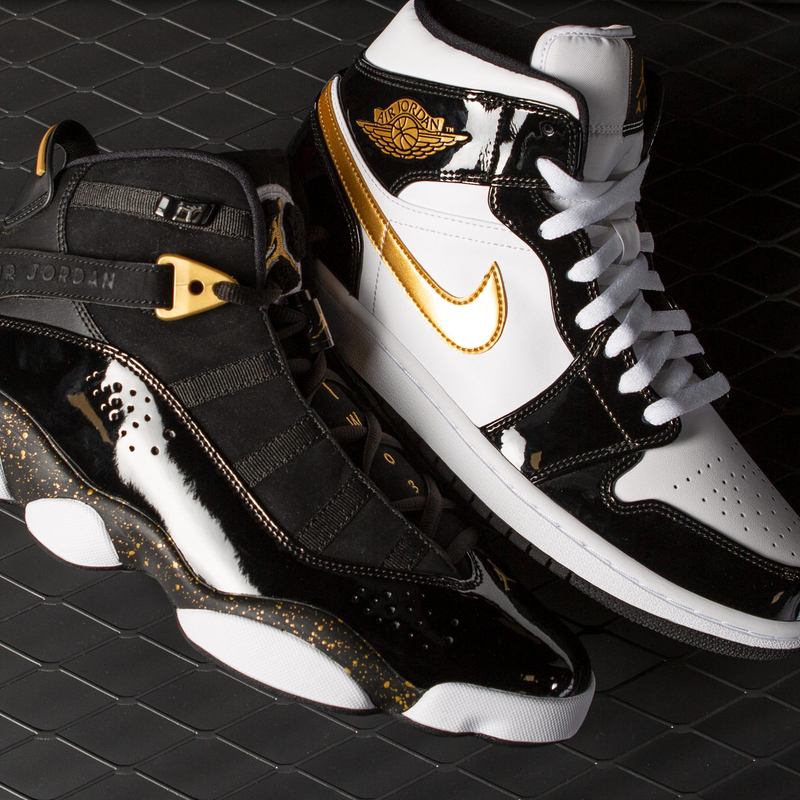 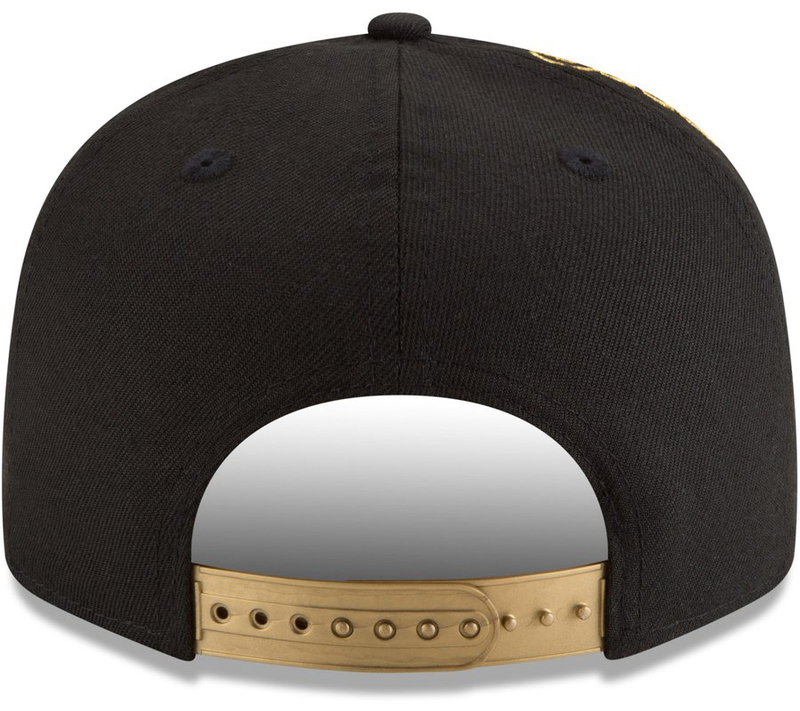 You can cop the new Jordan Metallic Gold Collection including shoes and matching clothing below.